Most Primary (first nose operations) Surgery's are done by closed procedure, so no visible scars can be detected. 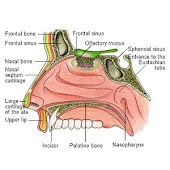 However with revisions that require more extensive work that correct problems with collapsing of nasal wall, these Secondary or Revision Surgery's are done by Open procedure. There are few surgeons who will prefer closed technique, but they are the exception. There are advantages and disadvantages to both these procedures. If you have too many open procedures you risk greater chance of developing necrosis. With closed the drawback is you don't see the whole area that your working on, and you can't as easily place as large a graft as you can with open procedure. With closed you disturb less of the tissues of the nose, and you can have a better and faster idea how the nose will take shape. Its less invasive and heal time is much faster.